October began on a very uncertain note for the markets. IL&FS was consistently defaulting on inter-corporate deposits (ICDs) and commercial papers (CPs) and that had larger ramifications on NBFCs. October began on a very uncertain note for the markets. IL&FS was consistently defaulting on inter-corporate deposits (ICDs) and commercial papers (CPs) and that had larger ramifications on NBFCs. Bond market investors and equity investors were getting a little edgy about NFBCs that had a maturity mismatch (using short-term borrowings to fund long-term assets). That is where the problems began for IL&FS, and the markets could see these problems being reflected in a host of other housing finance companies where short-term CPs were being used to fund long-term assets. That was not all. This also impacted a host of real estate stocks where builders were relying on NBFCs to fund their portfolio after banks had become cagey in the last few years. Amidst all this uncertainty, how does one maintain a balance? Let us look at two perspectives: the policy perspective and the investment allocation perspective. Historically, economic turbulence has always been about a crisis of confidence, be it LTCM, Lehman Brothers, Bear Sterns, or even IL&FS. Here is what is required from a policy perspective. The primary focus should be to build investors’ confidence in the market’s integrity. That means genuine NBFCs are able to raise funds and investor confidence does not get battered. That has been initiated in the form of liquidity support to the bond markets via OMOs and also bank funding support to NBFCs. One can argue about the moral hazards and costs associated with such a bailout, but in a crisis of confidence, there is no middle path. In a way the genesis of the problem has been IL&FS. With a total debt exposure of $12bn, it is a big systemic risk. The government has done well to appoint a new board under Uday Kotak’s leadership. But, it is more important that the timeline for completing the process is set and adhered to. On the one hand, project owners have to be pushed to pay, and on the other hand, lenders must be prepared for the haircut. Maintaining stability of the rupee is a key challenge for the RBI and government. With the forex chest down to just $394bn from $430bn, the RBI has limited means to keep selling dollars. The INR has already weakened from 64/$ to 74/$ and that hardly encourages exports. For now, the export argument has to be put aside, and the rupee needs to be protected via NRI deposits. A weak rupee has negative implications not only for the oil import bill but also for the direction of FPI flows (as we saw in October). Growth versus price stability is another big challenge for the government. What India will actually require now is an easy money policy and smoother flow of credit to industry. That is apparently not happening. If India achieves 7.5% GDP growth in the current fiscal, it would still be more than a 100 bps spread over China’s GDP growth. But for that, greater flow of credit and lower rates are required. At the current bond yields, that is not going to pick up. In a way, the Indian economy has been lucky in the past. When the economic crisis was worsening in 2013-14, oil prices began coming down sharply, saving us from the current account deficit worsening beyond a point. This time around, when the CAD is threatening to get closer to 3% of GDP, trade wars may have come as a blessing in disguise. We already saw the trade deficit for September fall below $14bn. This could also strengthen the rupee. What can investors do in these troubled times and in the midst of global uncertainty? Here are three things investors can do to maintain stability in their investment portfolio. Adopt a phased approach to investing. Crisis or not, this approach always works, and in these turbulent times, you must never try to catch the markets and bottoms. Now is the time to adopt a phased approach and use the best of rupee-cost averaging to your advantage. 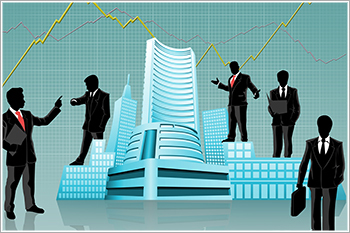 Use the turbulence to restructure your portfolio in favour of quality stocks. High leverage companies, maturity mismatch companies, and high risk companies are out of your portfolio. They are going to be under increasing pressure in the future. Finally, focus on stories that are driven by domestic demand as that is where the sustainable growth could arise. Focus your portfolio on direct and indirect beneficiaries of the India consumption story, both rural and urban. Turbulent times call for calibrated strategies. The time to act is now!